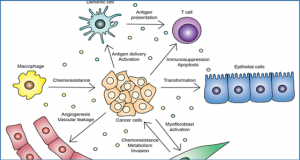 Reciprocal interactions between tumor cells and their microenvironment drive cancer progression and therapy resistance. 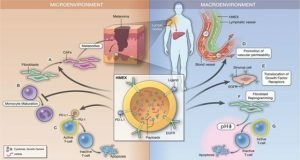 Researchers demonstrate that dynamic feedback between tumor and stroma subverts normal inflammatory responses by triggering the release of exosomes containing unshielded RNAs that activate pattern recognition receptors, thereby promoting tumor growth and metastasis. (A) Heterotypic tumor-stroma interactions induce interferon-stimulated gene (ISGs) in a subset of breast cancer cells, called ISG responders (ISG-R). 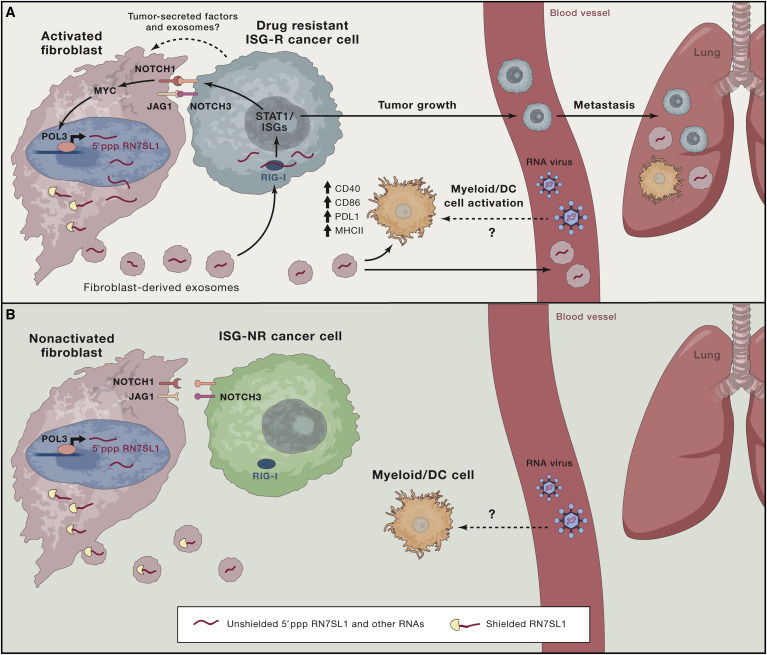 Cancer cell-stromal cell contact and engagement of breast cancer NOTCH3 and stromal JAG1 increases exosome production and triggers stromal NOTCH1-MYC activation. 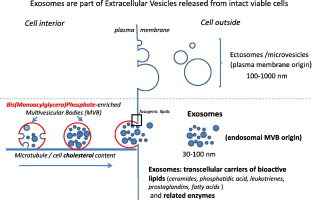 Whether tumors cells also release soluble factors and exosomes that further reinforce reciprocal communication remains to be determined. Stromal NOTCH1-MYC signaling increases RNA polymerase III (POL3) transcriptional activity and, consequently, RN7SL1. The increase in RN7SL1 levels, in the absence of a proportional increase in SRP9 and SRP14, which normally shield this transcript, markedly increases unshielded RN7SL1. 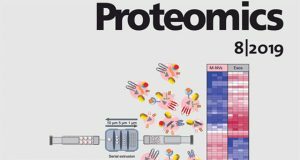 Unshielded RN7SL1 is released in stromal exosomes and transferred to ISG-R breast cancer cells, where it activates the pattern recognition receptor (PRR) RIG-I, leading to STAT1 activation and ISG induction. 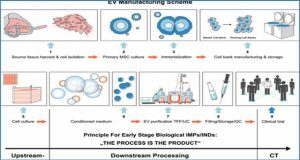 Unshielded exosomal RN7SL1 also activates myeloid/dendritic cells, inducing CD40, CD86, PDL1, and MHCII expression. Unshielded exosomal RN7SL1 and RIG-I activation promotes primary tumor growth and metastasis. 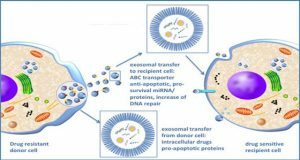 Interestingly, viral particles contain endogenous non-viral RNAs, including RN7SL1, but not SRPs, which activate RIG-I in a manner similar to that of breast cancer exosomes. (B) ISG non-responder (ISG-NR) breast cancer cells fail to enhance stromal exosome transfer and to induce ISGs upon tumor-stroma interactions. ISG-NRs do not increase stromal RN7SL1 transcription or stromal exosome production. Shielding of RN7SL1 by SRP9 and SRP14 inhibits RIG-I activation and ISG induction.